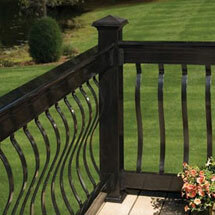 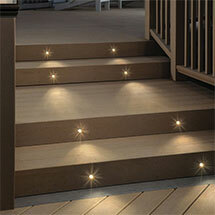 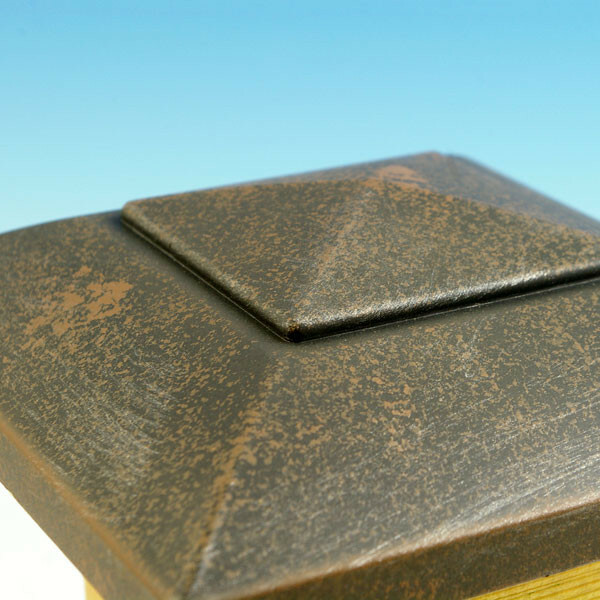 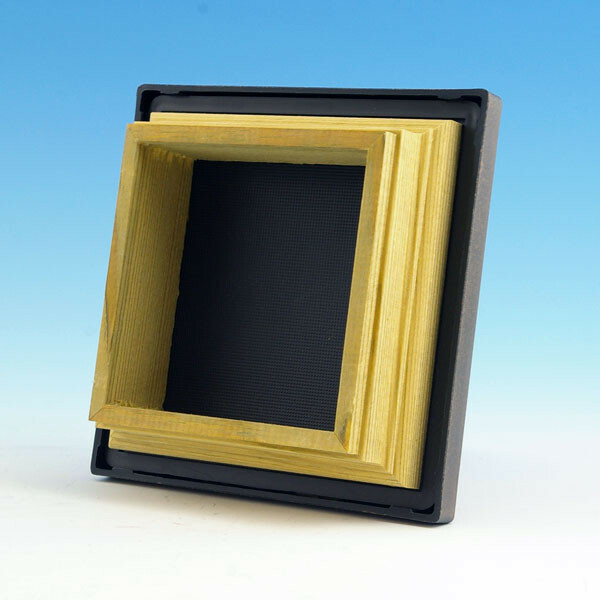 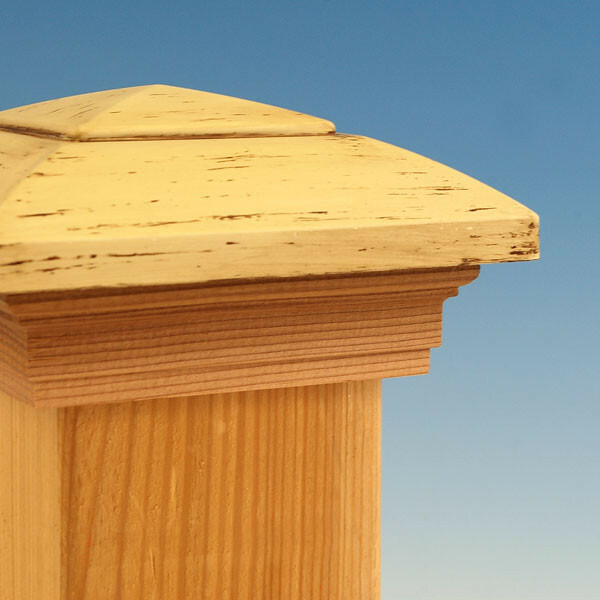 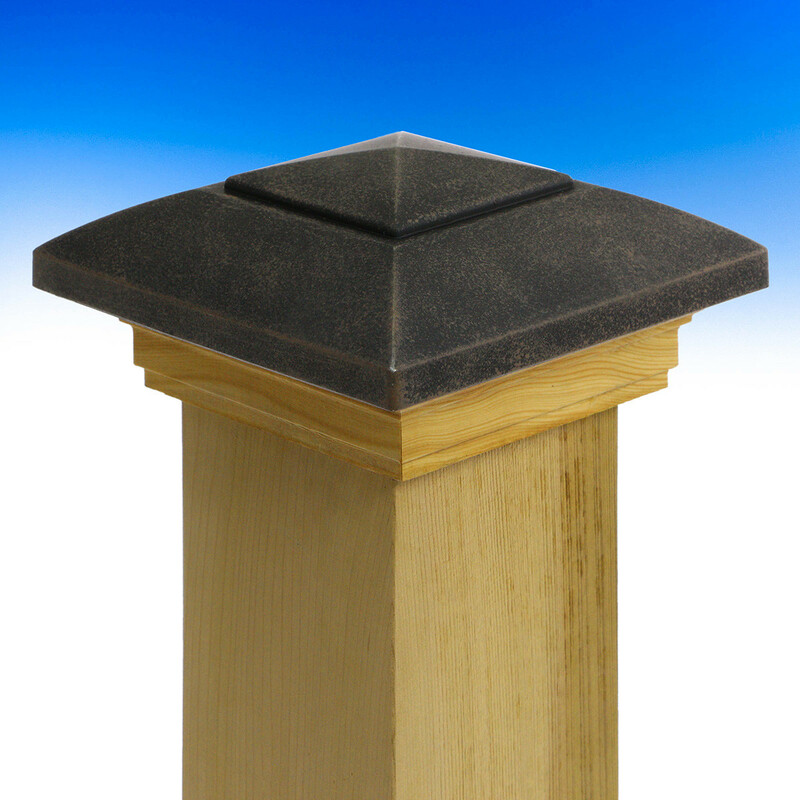 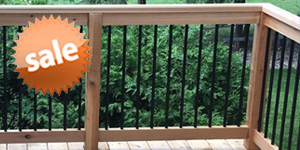 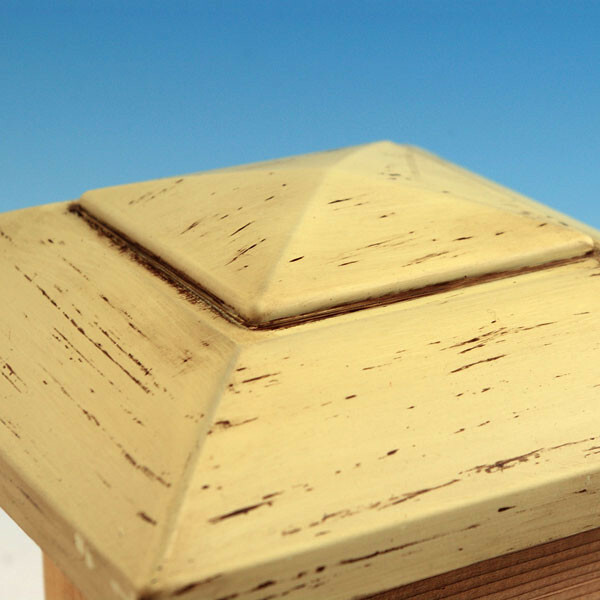 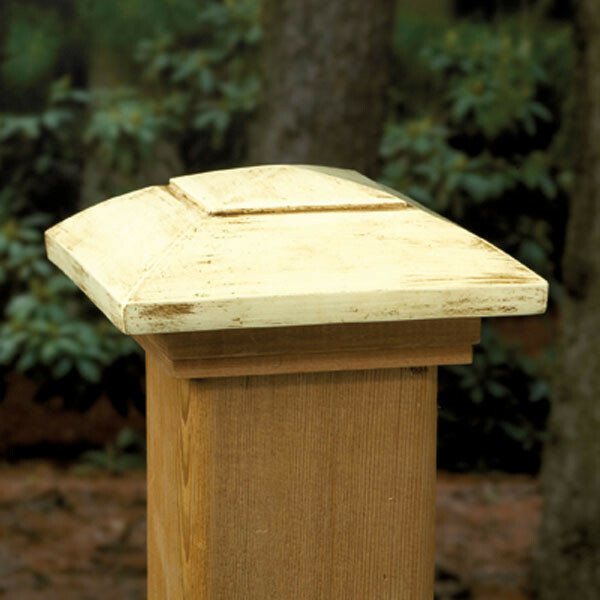 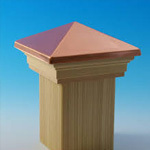 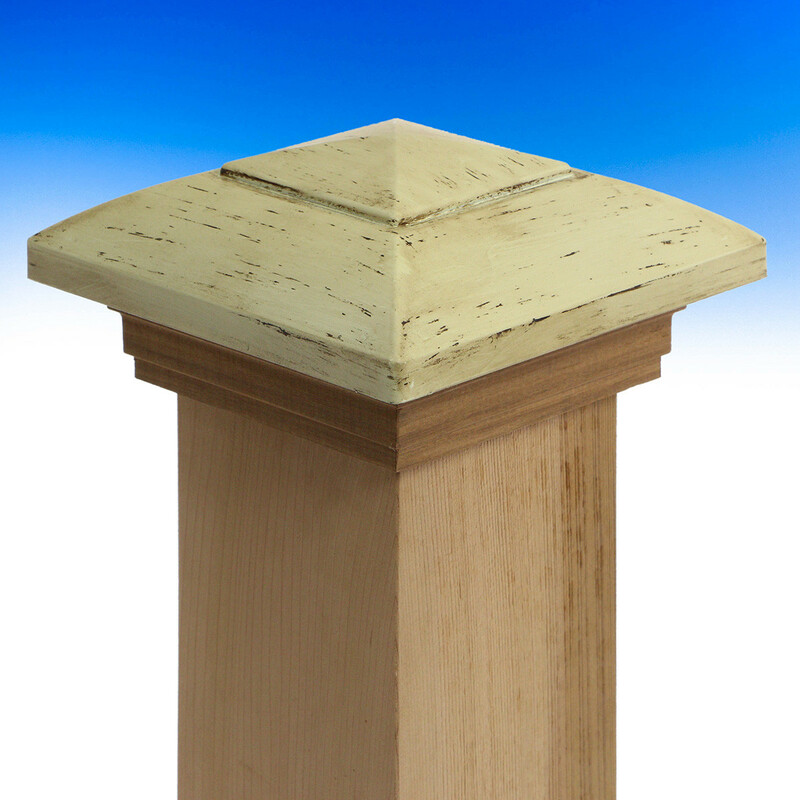 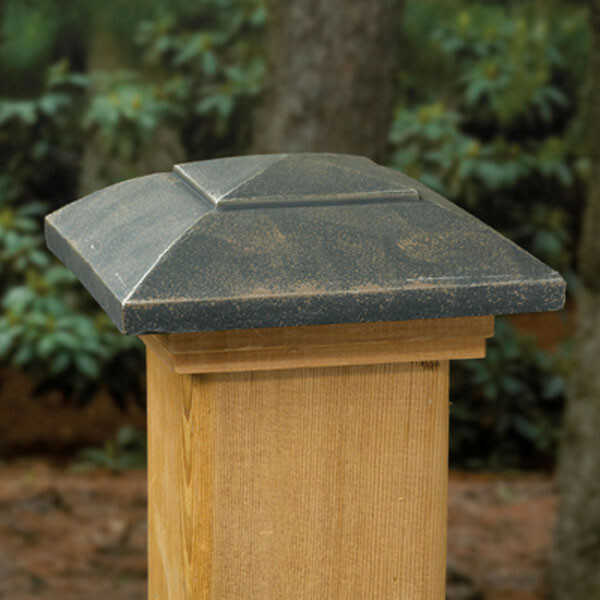 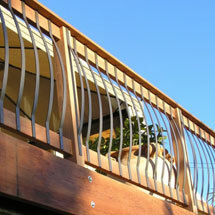 Designer Post Cap by Deckorators are the perfect finish touch for your deck or fence project. 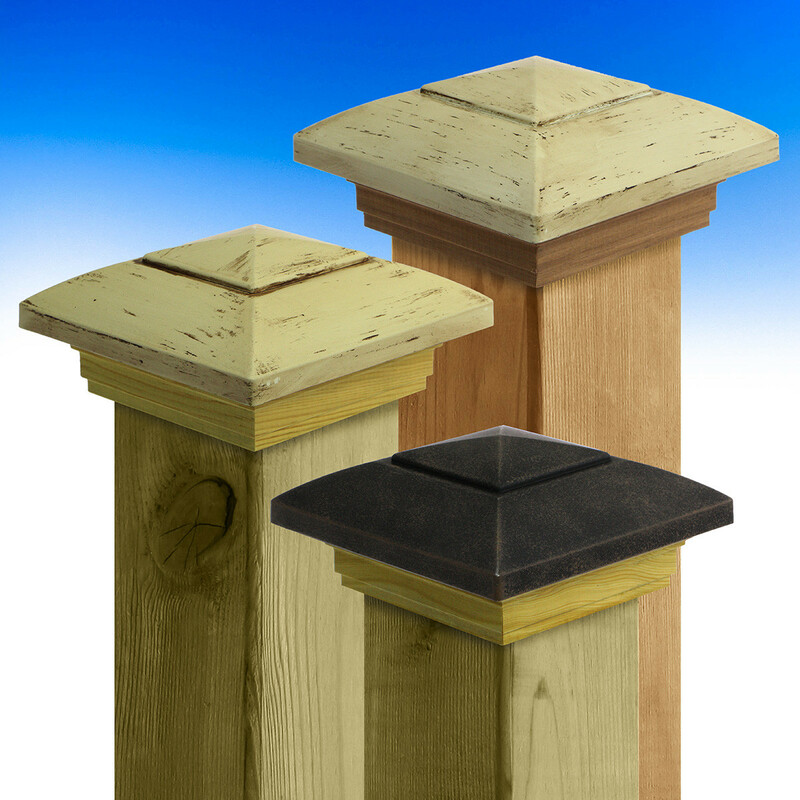 They fit a standard 4x4 wood post and come with either a cedar or pressure-treated skirt base. 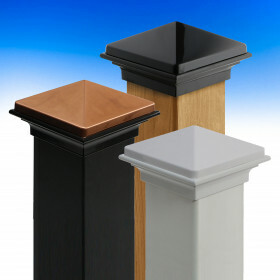 choose from Oil Rubbed bronze or Antique Ivory. 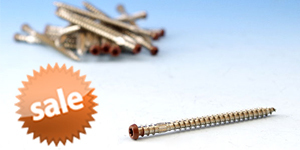 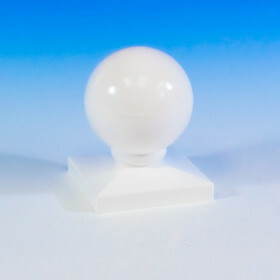 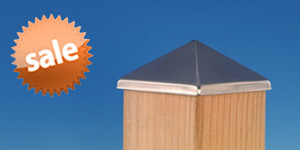 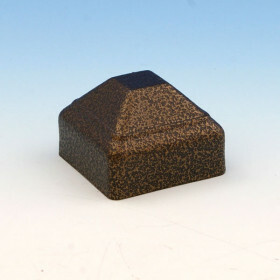 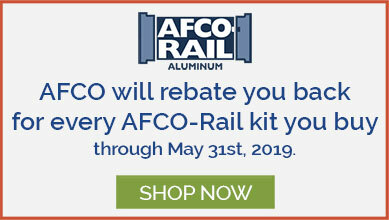 These post caps install easily by applying a small amount of exterior grade adhesive to the underside of the post cap and placing the cap firmly on the desired post. 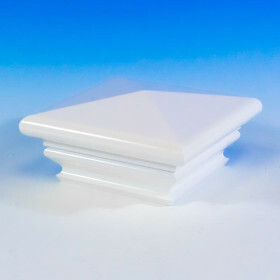 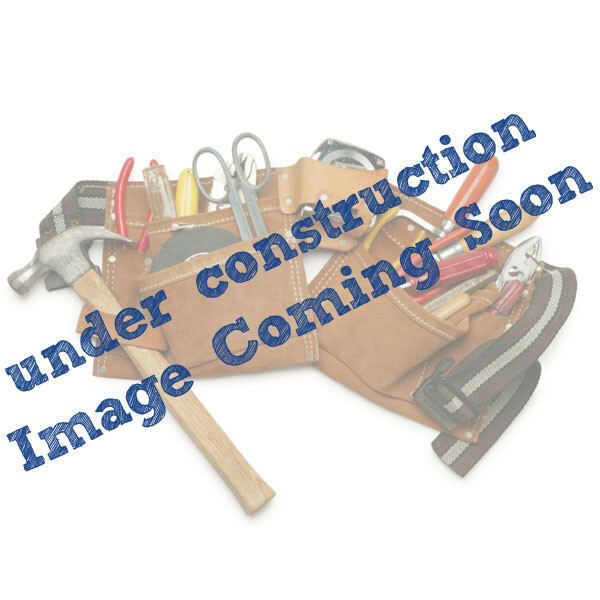 (Width x Depth x Height) 5-3/4" x 5-3/4" x 2-3/4"